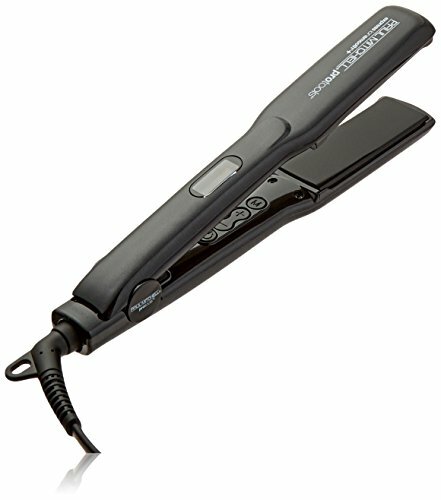 Why is the Paul Mitchell Protools 1.25” Flat Iron so Effective at Straightening Fine Hair? Are you having trouble working close to your scalp like you want when you straighten your fine hair? It could mean that the plates on your flat iron are simply too thick. This is not something you really need to deal with if you don’t want to. That is because there are many flat iron models in the beauty marketplace with slim plate designs. One of them is the Paul Mitchell Protools Express Ion Smooth + Flat Iron 1.25″. The word of mouth about this flat iron that works well on fine hair has been very favorable. We thought we would check it out a little closer to see what we think about it. 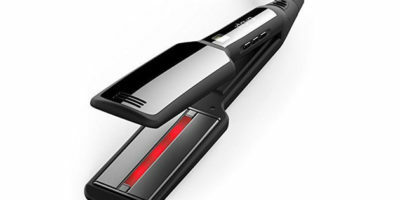 This beauty of a flat iron is ready to use in less than 60 seconds. Its digitally selected temperature can be set as high as 410°F which will help you reshape and straighten the most stubborn hairs on your head. Its slim plate design lets you work very close to your scalp to straighten out almost the entire length of your hair. The plates are also 1 ¼” wide so they have much surface area to apply high heat to your hair. These plates are also ceramic coated for even heating and they also help cushion and protect your hair as it slides through this flat iron when you are straightening it. 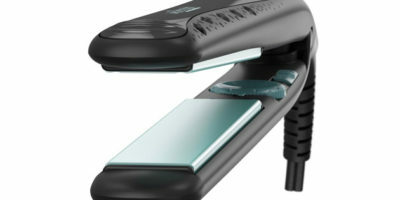 The intangibles on the Paul Mitchell Protools 1.25” Flat Iron really make it easy to operate too. For starters, it weighs only a little over 19 ounces. It also has a good size 9-foot long power cord with an anti-tangle swivel end. This flat iron is also a great travel companion too. Its dual voltage capability will allow you to use it anywhere in the world. It also has a nice auto shutoff switch will kick in after 60 minutes from when it’s first turned on. There are two things that make this a really nice flat iron for straightening your hair. One of them is its Express Ion Complex™. The heat plate is infused in a way that it heats fast and evenly and that allows you to straighten your hair much faster. It also will help your hair retain more moisture and keep it frizz free. The other really nice feature that makes this flat iron work well is the nicely beveled edges. Because of this, there are no marks or creases in your hair after you get done straightening it with the Paul Mitchell Protools 1.25” Flat Iron. The warranty on this curling iron lasts for a period of 1-year only. In actuality, it is what we feel are one of the most disappointing aspects of this flat iron. Very surprising that a company like Paul Mitchell does not have a longer warranty. Another concern is that it will give your hair a tug every once in a while. That is surprising since it has a ceramic coated hot plate. Of course, you can say this about most flat irons so it’s not a deal breaker by any means. 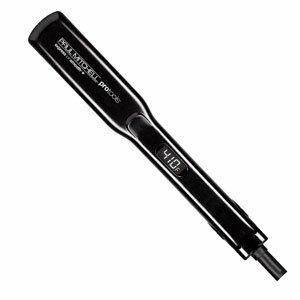 Overall we really liked this flat iron from Paul Mitchell. Despite its short warranty, there was still much to like about it. Its slim plate width lets you work closer to the scalp and its Express Ion Complex™ does a great job of keeping your hair from getting damaged as you straighten it. When you factor in its dual voltage capable it makes this flat iron a very good buy. Without a doubt, it is worth considering for purchase if you are in the market for the best flat iron to straighten your fine hair. Best-Selling Flat Irons For Fine Hair!